Double Sided Foam Tape is used to adhere two surfaces together and perfect for outdoor applications and where surfaces is rough so the foam can be bonded the entire surface area. 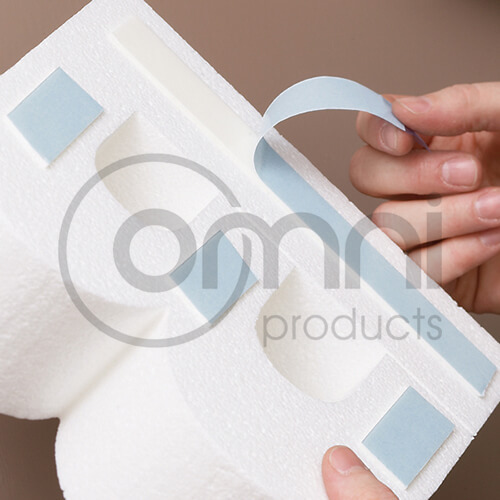 Omni 9232 is a 0.8mm double coated polyethylene foam tape designed for mounting, sealing, gasketing, and sound and vibration damping applications. The highly conformable foam, coupled with a high performance acrylic adhesive, creates a reliable bond on a wide variety of high and low energy surfaces, providing optimum performance and durability.